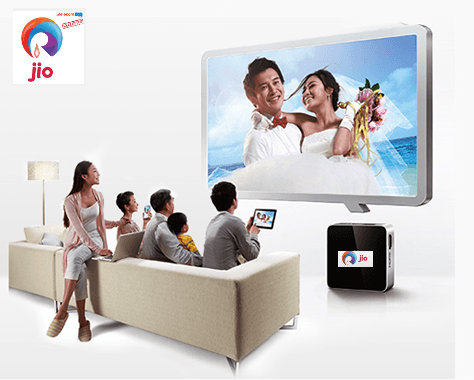 Reliance Jio Infocomm, which has pan-India license and Spectrum for 4G wireless broadband services, will launch LIVE TV services over its 4th Generation LTE network with Android run set top box (STB). Earlier We shared India’s first Reliance Jio 4G Hands on Review on all its up-coming services over 4G, Now we bring you some more exclusive details on its 4G – LIVE TV services. 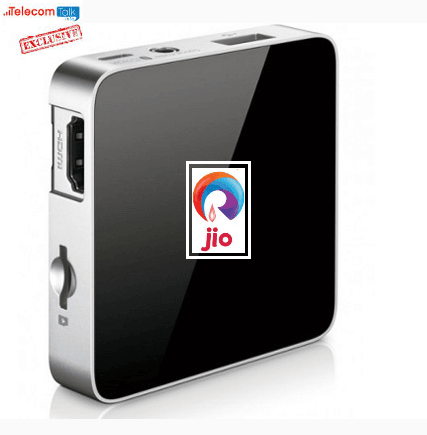 Reliance will offer a Android OS based set-top-box (STB) which will facilitate both broadband and television services.The STB is very compact, easy to use and has attractive design. It can be used with multiple dives, such as simultaneously on a tablet and TV and voice control, and a handful of pre-installed games are also included. To offer seamless LIVE TV services Reliance Jio will provide outdoor customer premise equipment (CPE) that will connect to its mobile tower and there will be wire which will run into house of customers from this CPE that can be connected to various devices and create a local wi-fi network for people to access LIVE TV through STB and also broadband. The Reliance Jio STB which has been developed on Google’s Android platform. Besides CPE, Reliance Jio has also plans to connect to those homes which won’t get strong signals with optical fibre network (FTTH). Reliance Jio Infocomm (RJIL) 4G LIVE TV services will come with 160 channels including 16 HD channels that it will provide across all devices ranging from mobile phone to TV sets using its high speed 4G network many more channels will be added at the time of commercial launch of services. Reliance Jio 4G service customers can watch half the show or movie on his or her TV pause it and watch the rest either on a tablet or a mobile phone, using the same log-in. The 4G network based ‘Jio Play LIVE TV’ can serve as third alternative available in India apart from Cable TV, DTH and IPTV services, but everything depends on tariff yes on tariff! what Reliance Jio will offer to end customers.